Richard served as PRIME's Chief Executive Officer and until 2015 was chair of the PRIME Executive Committee as well as a senior PRIME tutor. He is presently a PRIME Trustee. For most of his career he has worked as a consultant cardiologist in Brighton with clinical and research interests particularly in resuscitation, heart attack and medical electronics. He became the founding director of the Trafford Centre for Graduate Medical Education and Research at Sussex University, and later the founding head of the Postgraduate Medical School at the University of Brighton. As Associate Dean and Head of its Medical Education Unit, Richard subsequently played a key role in designing and running the Brighton and Sussex Medical School which opened in 2003. 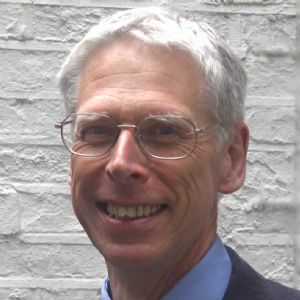 Richard retired from the NHS in 2008 and has since continued his exploration into the practice and teaching of whole-person medicine and the philosophy of science, health and disease. His work in medical education is now chiefly associated with PRIME. In addition to 120 journal papers Richard has published 17 book chapters and 6 books and made over 50 educational videos. He also acts as a reviewer for major international journals and grant-awarding agencies as well as a supervisor and external examiner for MScs, MDs and PhDs. As well as his work for PRIME Richard Vincent is Emeritus Professor of Cardiology, Brighton and Sussex Medical School and Honorary Consultant Cardiologist, Brighton and Sussex University Hospitals Trust.